Some of the presentations and papers given at GLAM meetings are also available to download here. King’s College Archives Centre, WCG/2/6. 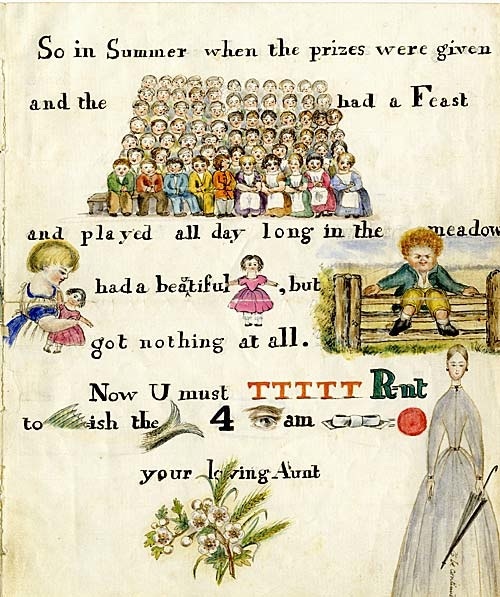 Pen and watercolour rebus story from Mary Tovey to her niece Jeannette. From the collection of William Charles Green (c. 1833-1914).